A Manchester start-up which is pioneering the next generation of artificial intelligence (AI) systems has raised a £1.3m investment from Accelerated Digital Ventures (ADV) and the Northern Powerhouse Investment Fund, through NPIF – Mercia Equity Finance, which is managed by Mercia Fund Managers. MindTrace brings together Professor Michael Denham and Dr Kameliya Dimova, who are developing novel software algorithms mimicking the way the human brain works, with Professor Steve Furber, the University of Manchester academic who designed the BBC Microcomputer and the processors for the chip giant ARM Holdings. They have been joined by Sir Hossein Yassaie, the former CEO of chipmaker Imagination Technologies plc, as the company’s chair. MindTrace is one of the few companies worldwide developing intelligent machines capable of ‘unsupervised learning’ or teaching themselves independently, which is regarded as the next step in the development of AI. Its systems could have a wide range of applications including data management, cyber security and the internet of focus will be on systems for autonomous vehicles. The company is developing an advanced collision avoidance system which will offer faster response times than current systems, perform better in poor lighting conditions and require less power and bandwidth. The funding will allow the company to recruit a research and development team and a CEO, develop a prototype in collaboration with a major car manufacturer and raise Series A investment to bring the product to market. Michael Dimelow, Head of Investment at ADV, said: “MindTrace represents a landmark opportunity to define the artificial intelligence industry through the development of unsupervised learning. Truly unsupervised machine learning has never been achieved and its potential to change society, business and the world is infinite. This combined with a team of global sector leaders based in Manchester – the original home of computers – is an extraordinary recipe. We’re really excited to support the company’s growth going forward”. “It is good to see ADV, a platform backed by British Business Bank (BBB) and the Northern Powerhouse Investment Fund through Mercia working together to back high tech businesses like MindTrace. 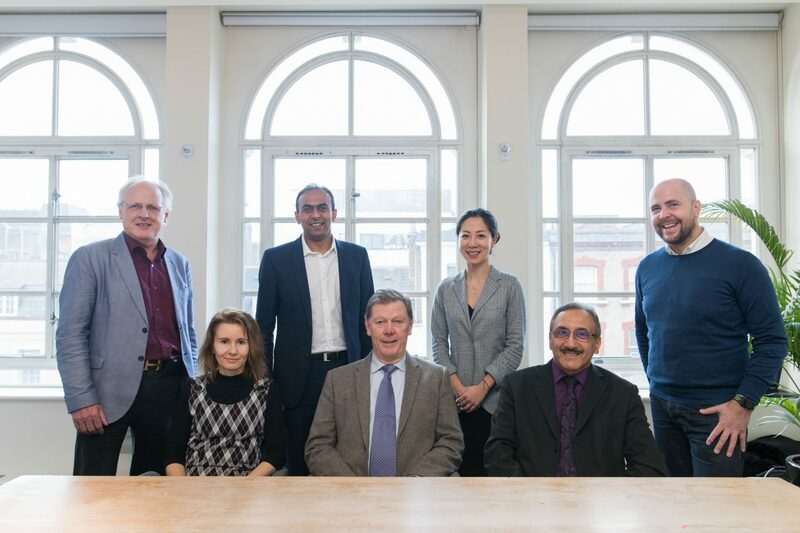 Photo Caption – Left to Right: Professor Steve Furber and Dr Kameliya Dimova of MindTrace, Ashwin Kumaraswamy of Mercia Fund Managers, Professor Michael Denham of MindTrace, Tong Gu of ADV, MindTrace chair Sir Hossein Yassaie and Mike Dimelow of ADV.